Machinery giant Great Plains has blamed the worldwide agricultural downturn on its decision to shut down its UK factory. US-based Great Plains Manufacturing will bring production at Sleaford to a halt this year, with the facility fully closing down early in 2018. In the future, parts and service operations will be continued under the responsibility of Great Plains Manufacturing with support from its sister company, Kverneland Group. The company’s president Linda Salem said: “We examined many options before we chose this path. The firm said it would work with the appropriate Government agencies to ensure the transition for affected employees would be ‘as smooth as possible’. Ms Salem added: “Great Plains Manufacturing is proud to have worked with our many committed dealers, distributors and suppliers for so many years. “Together, we have provided quality products and outstanding service to our farming communities. Kansas-based Great Plains had acquired the Woodbridge Road plant from Simba in 2010. It was Great Plains’ first overseas manufacturing plant and became the hub for Western Europe, receiving significant investment. About 100 staff work at the site. 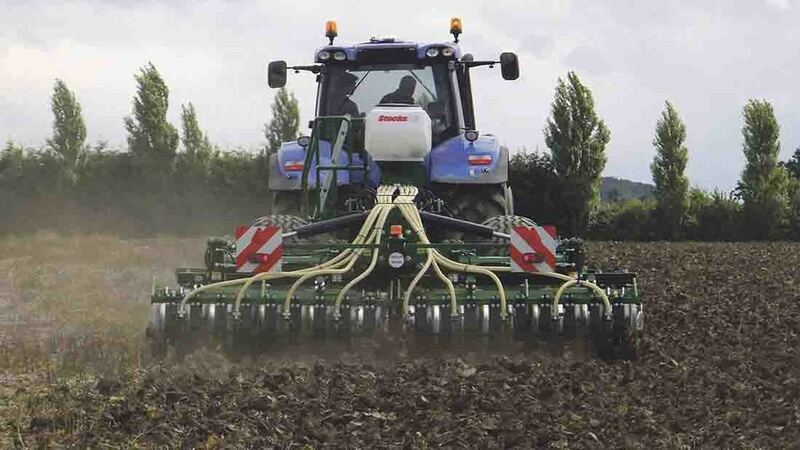 Products produced there include all Simba tillage models and the Centurion Cultivator Drill.